Take your mountain and climbing skills to the next level by learning from highly experienced mountaineers. We have combined three shorter courses to create an extensive course where participants go through the fundamentals of mountaineering. Your highly experienced and professional mountaineering instructors will cover general rope work, making of rock and snow anchors, crevasse rescue and ice climbing, safety issues regarding avalanches and beacon search, glacier and mountain travels, crampon technique, self-arrest with an ice-axe and a lot more during the training. Along with learning how to use mountaineering equipment, you will experience camping overnight on a glacier. If the conditions are right, we might build a snow house or other types of snow shelters. Knowledge about avalanches is a very important and necessary part of this training. With appropriate choice of routes, it’s possible to minimize the risk of triggering or getting caught in an avalanche. Participants must bring along and know how to use the necessary gear needed for finding avalanche victims and getting them to the surface. The course offers an introduction to this gear and how it is used. 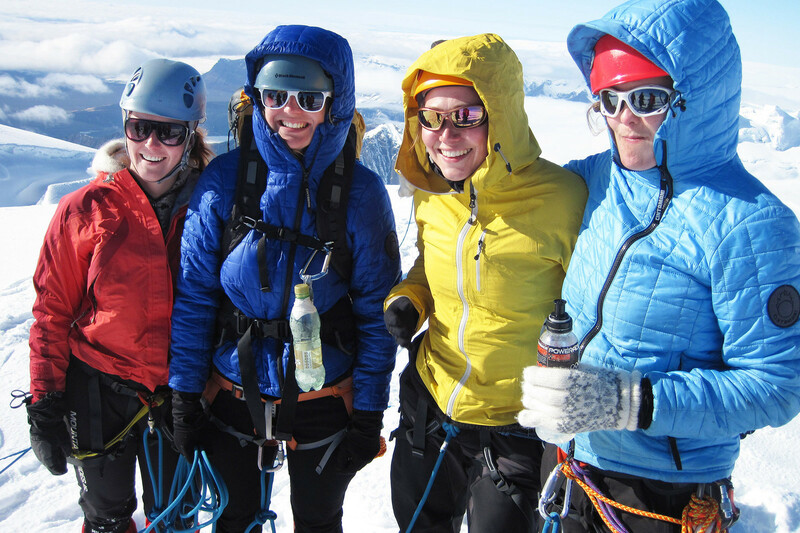 Upon completion of the course, you will walk away with an all-around base in mountaineering. This will ensure that you are more fit for traveling safely on glaciers and mountains on your own. No prior courses or experience is required, but participants have to be in fairly good physical and mental shape. They need to have appropriate outdoors clothes and gear that suites winter travels. Registered participants will receive a detailed equipment list. Demanding some effort and certain endurance. Good health and some hiking experience is required. 6-8 hours walk per day. Often involves carrying your own gear. How does the pick up work? What are the meal arrangements? Will we spend a night in tents? Adventurer of the Week: Nicolas prepares for the Mountains!